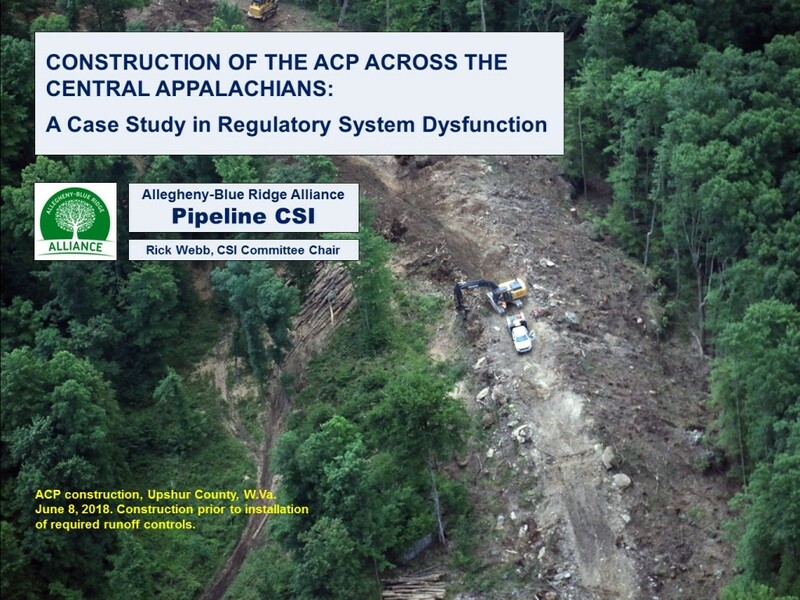 The Atlantic Coast Pipeline (ACP) provides a bleak example of environmental agency failure to provide objective review and effective oversight of pipeline projects. A new presentation prepared for ABRA’s CSI program compares the empty assurances provided by elected officials, regulatory agencies, and Dominion Energy with the realities of incomplete plans, relaxed environmental standards, and ineffective oversight. Click here to access presentation. This entry was posted in Uncategorized by DPMC Staff. Bookmark the permalink.